Over the last two years the IRD has recovered more than NZD 200 million of taxes which were previously unpaid by tax evaders. 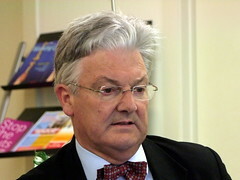 In a press release issued in April 18th the Revenue Minister Peter Dunne has hit back against some recent criticism from members of the Labour Party, which claimed that the National Party is too soft on tax evaders and disproportionately harsh on welfare scammers. The Minister claimed that over the last two years the Inland Revenue Department has successfully closed 1170 investigations into tax evasion, which has directly led to the recovery of more than NZD 200 million in previously unpaid taxes.